Pet Health Advice and Pet Tips by Pet Expert Wendy Nan Rees: Exciting News,Updates and Oh Woof!Cat Food Recall ! Exciting News,Updates and Oh Woof!Cat Food Recall ! Wendy’s main web site is back up and running again!! Created for pet lovers, Wendynanrees.com site is designed to enhance you and your pet's happiness, comfort, and love! Directed by Wendy Nan Rees—the true Pet Lifestyle Advisor—this is a resource where you will discover new pet tips, recipes and products, get professional advice, and much more. 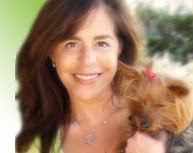 With 25+ years’ experience in the pet industry, Wendy Nan Rees is recognized the Pet Lifestyle Advisor and “Go-to & How-to Girl” in the pet community. She is a noted pet author and has written five well-received books. Watch for Wendy’s New Book and Movie Coming Soon!! Here is an update about the Diamond Dog Food Recalls. This pet cookbook takes the worry out of feeding your dog! These meals are simple and easy to make at home for your pet ! Save your pet from dog food poisoning and pet food recalls ! Diamond Dog Food recall has expanded to Include Cat Food. Be sure to check the company page DAILY for information..do not count on news articles to be right. Diamond Naturals Small Breed Adult Dog Lamb & Rice Formula samples, 6 pound and 18 pound bag sizes, manufactured on Aug. 26, 2011, have been added to the limited voluntary recall, due to potential exposure to Salmonella. No illnesses have been reported. Diamond Pet Foods apologizes for any issues this may have caused pet owners and their pets. See all stories on this topic Click it! A growing number of pet owners say their dogs were sickened or died after eating chicken jerky dog treats made in China. The Food and Drug Administration has received more than 900 complaints since issuing the latest warning about the jerky six months ago. Owners say their dogs experienced vomiting and kidney failure - and in some cases the illnesses proved fatal. The complaints are targeted at three brands, all made in factories in China: Waggin' Train and Canyon Creek Ranch, made by Nestle Purina, and Milo's Kitchen Home-style Dog Treats, made by Del Monte, MSNBC reported. The manufacturers have all denied any link between their product and the dogs’ illness. Experts are no closer to solving the mystery of what's causing the apparent food-born illnesses.